Saint Laurent's collections are always the epitome of glamour, and there's nothing that encapsulates it more than a pair of towering heels. 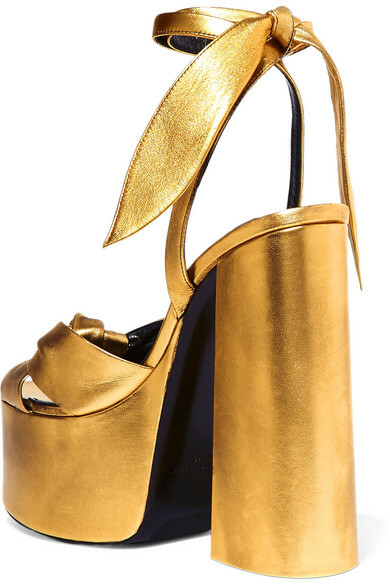 First seen on the Spring '19 runway, these 'Paige' sandals are made from gold leather and set on vertiginous platforms that not only give you height but create the illusion of longer legs, too. Mirror the label's styling with a statement mini dress and 10 denier tights. Shown here with: Saint Laurent Dress, Saint Laurent Clutch, Falke Tights.